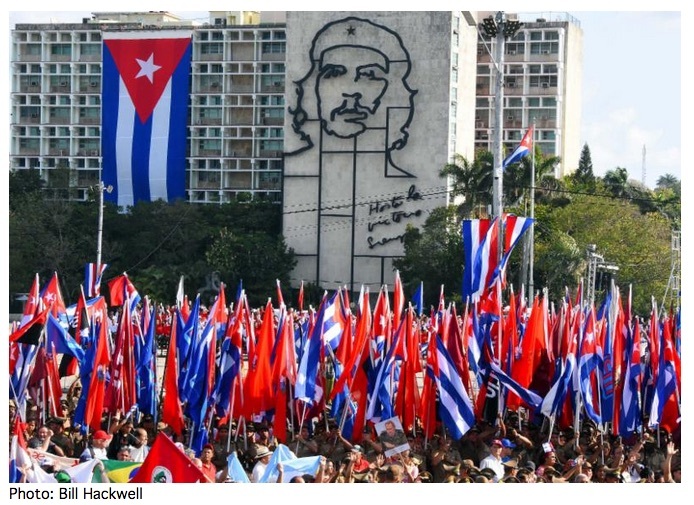 Thursday, July 26, 7:00, Encuentro 5: Claudia Kaiser-Lenoir leads a program for the annual July 26th Cuban Revolution Day celebration, the 65th anniversary of the July 26, 1953 rebel attack led by Fidel and Raul Castro on the Moncada military barracks. Claudia is the co-founder of the Latin American Studies program at Tufts and has traveled to Cuba on many occasions. She’ll talk about the perspective from this year’s May Day Brigade. The program will also celebrate the 50th anniversary of the Venceremos Brigade and its ongoing work with two early Brigade alums, Richard Cambridge and Greg LaMotta. Dr. Tia Tucker, a graduate of Escuela Latino Americana de Medicina, ELAM, featured in the June Pastors for Peace program, currently serving in Cambridge, will also speak.